Pop-ups are basically the unwanted web adverts or the undesired piece of information to capture online traffic or user details. However, it would be a judgmental decision to consider all pop-ups as unwanted. It’s annoying to receive pop-up ads at the middle of an important work, ignoring the information they carry might be important for your system. Similar, is in case if Driver Restore keeps popping up. While, most of the users feel the need of getting rid of these pop-ups or searching the net for removing Driver Restore pop-ups, only a few would acknowledge the importance of these pop-ups. This article is to bring forth the importance of Driver Restore pop-ups. However, in case the user still wish to remove the Driver Restore pop-ups, we will re-direct to the ways a user can follow to remove the pop-up ads. Driver Restore is a windows updater software which tends to scan user’s system to generate a detailed list of outdated or missing drivers. 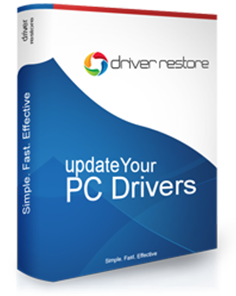 For more details, Read: What is Driver Restore & How Does It Works? Once the software program scans your system, it provides the detailed list of outdated drivers by means of the pop-ups. These pop-ups are the notifications that appear after the complete scan of the system by Driver Restore. Pop-Ups provide information regarding the drivers that need to be updated in the system. It would be troublesome for the user to keep a check of the scan-progress to receive the results. On the other hand, while working, it is nearly impossible to keep a track of the scan updates. Instead of redirecting the user to a new window, a gentle reminder via the means of pop-ups, assist the user with the required information. Hence, even when the user is busy with other tasks, they can get a know-how of the outdated drivers because of the Driver Restore pop-ups. After considering these points, if a user still wish to remove Driver Restore pop-up , they can follow a simple step. Once the pop-up appears, click on the ‘Dismiss’ option appearing in the pop-up box. This action will refrain the pop-ups from appearing again. How To Uninstall Driver Restore?